The Curly Head Deluxe Natural is a high quality, mild to medium bodied cigar with a much lower price than other cigars created by the Arturo Fuente Cigar Company. Arturo Fuente Curly Head Deluxe is a Cuban sandwich cigar. This means that a combination of long and short filler tobacco from a variety of sources is utilized. 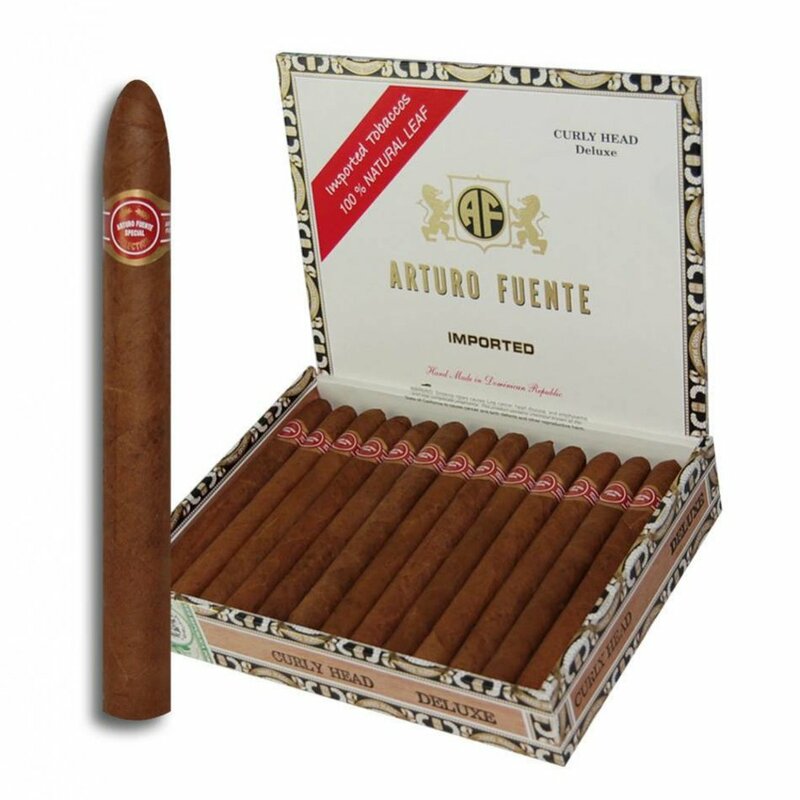 Staying true to their standard of quality, Fuente uses a combination of fine ingredients, including a beautiful Connecticut shade wrapper with shorter Dominican binder and filler tobaccos. Mild and nutty, this a great smoke for those on a budget. You can always find them at a great price online from elcigarshop.com! A few years ago on my annual trip to Tampa, I was on a quest to find the best Cuban Sandwich. The one made with pork, ham and Swiss cheese, not the tobacco. I heard about the Colombia Restaurant in the Ybor City section of Tampa. This beautiful sprawling restaurant was founded in 1905 by Cuban immigrant Casimiro Hernandez, Sr. The Columbia is the largest Spanish flavored restaurant in the world and Florida’s oldest restaurant. On that note, I decided this was going to be my first stop to try the iconic sandwich. The Original Cuban sandwich consists of fine ham, Genoa salami, mojo-marinated roast pork and Swiss cheese, pickle and mustard on buttered Tampa Cuban bread. It is then pressed till crispy. That was one of the best sandwiches I have ever eaten. Now, where to go next?